A 1,200-seat, 10-screen, dine-in theatre with top of the line offerings, including cutting-edge laser projection technology, heated and cooled luxury recliner seating, large-format movie screens, Dolby Atmos sound. Amenities include a lap pool, free weights, cardio equipment, group exercise rooms and locker rooms. A first class retail offering general vision, and optometrist eye exam services. 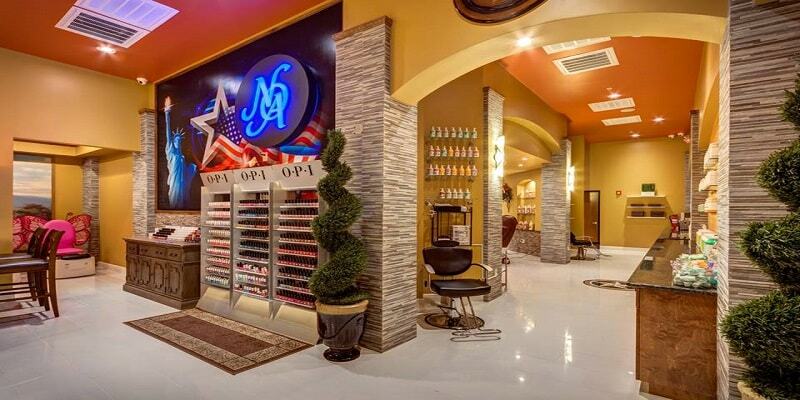 A first class upscale full service nail salon and spa. A lakefront public plaza and a gathering place for office workers, residents, and visitors, and a point of linkage to Springwood Village’s lake and park system with trails connecting to the Spring Creek Greenway. The plaza includes an activated open space for daytime and nighttime events.